In most cases the loading of ball screws is purely axial. For this reason, the life expectancy according to ISO 3408-5 only considers axial loads. 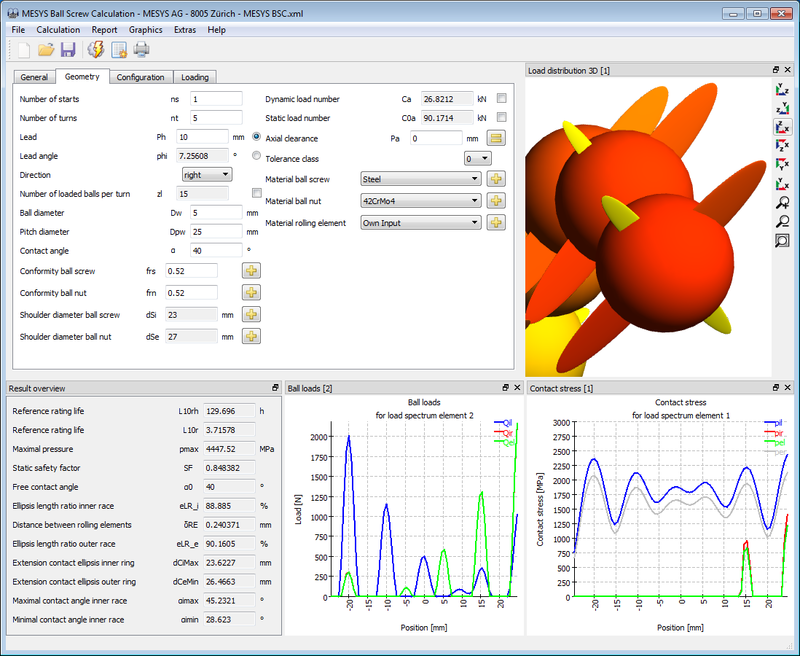 The software calculates the load distribution in a ball screw as a result of axial and radial loading and tilting moment. 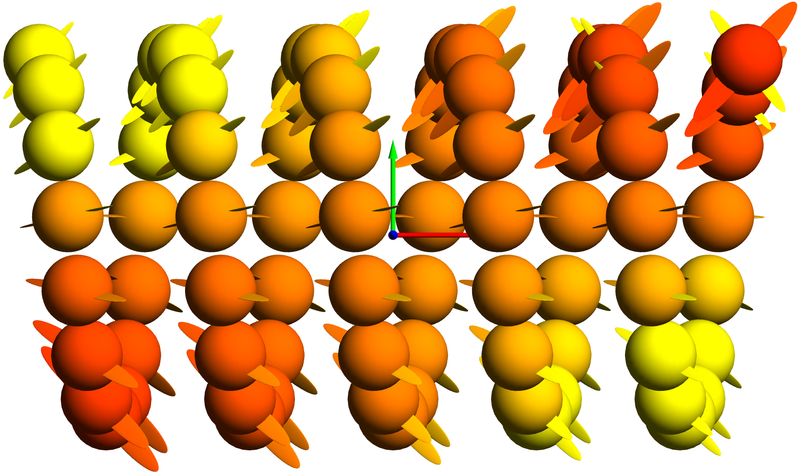 Based on the Hertzian contact stress theory, the load distribution is calculated under the assumption of rigid screw and rigid nut by considering the contact stiffness of the balls. With the help of the software option “Configurations” it is possible to calculate prestressed nuts. The raceways can be design as gothic arches or full radii. The life expectancy is resolved analogously to ISO/TS 16281 from the load distribution. The load capacities can be calculated either according to ISO 3408-5 or to a method analogous to the ISO 281/ISO 76. A parameter variation allows an automatic combination and variation of input values and a graphical representation of the results. The influence of thermal and elastic expansion in radial and axial direction or a lead error can be considered optionally. The ball screw calculation is available as standalone program or integrated into the shaft calculation. See Downloads for a demo version and documentation.